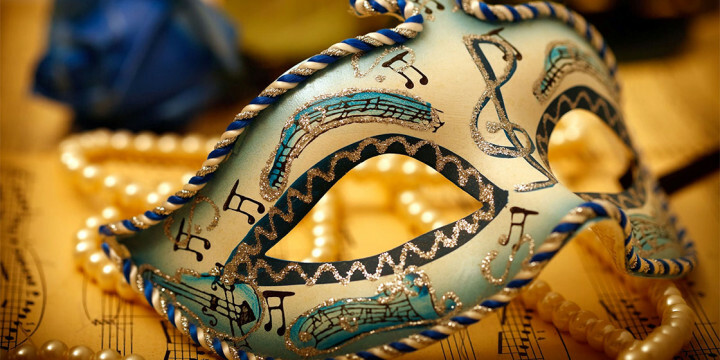 The Pagosa Springs Center for the Arts is thrilled to announce the Annual New Year’s Eve Masquerade Ball, an elegant evening of decadent food in a beautiful setting and incredible dance music by the popular Motown group, Ron Ivory and One on One. The evening includes dinner, a champagne toast at midnight, celebration of the ball dropping in Times Square, a midnight waltz and much more. This is the Pagosa Springs premier event of the year, and you won’t want to be anywhere else. Last year’s Venetian Masquerade brought class and sophistication to one of the most exciting party nights of the year and this year will be no different. Resident Choreographer Ryan Hazelbaker will give lessons ahead of time to help you brush up on the waltz, so you can come to the event confident and ready to dance at midnight. Reflect on the joys and lessons of last year as we say farewell to 2015 and celebrate the new possibilities that come with a new year, just around the corner. Come with a partner or come alone and prepare for the mystery and magic of the only Masquerade Ball of the year. Masks are required. Black tie, gowns, and costumes are encouraged. Visit the Center for the Arts gift shop for masks or Pagosa’s Costume Pit stop for attire. Tickets are $75 per person or $700 for a table of 10. Call 970-731-SHOW.